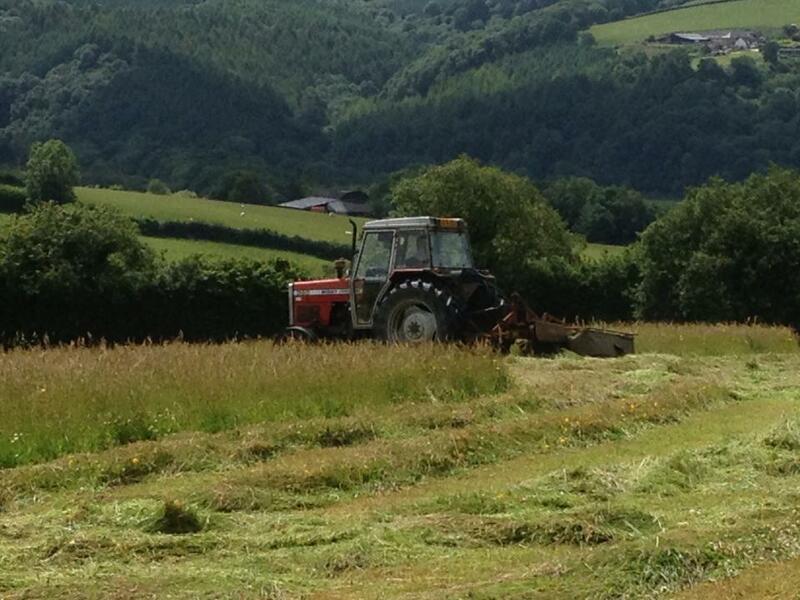 Let's Make Hay While the Sun Shines! 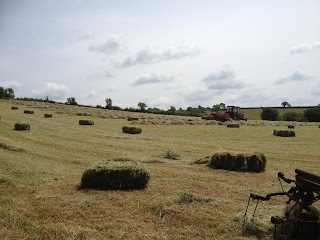 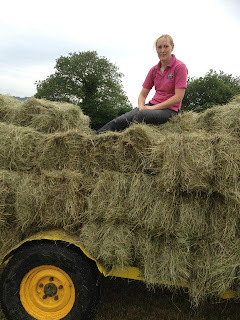 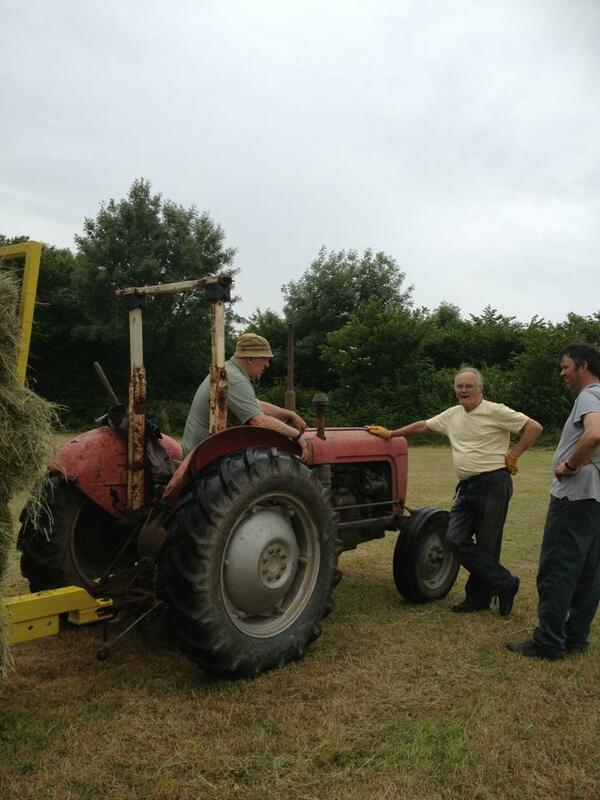 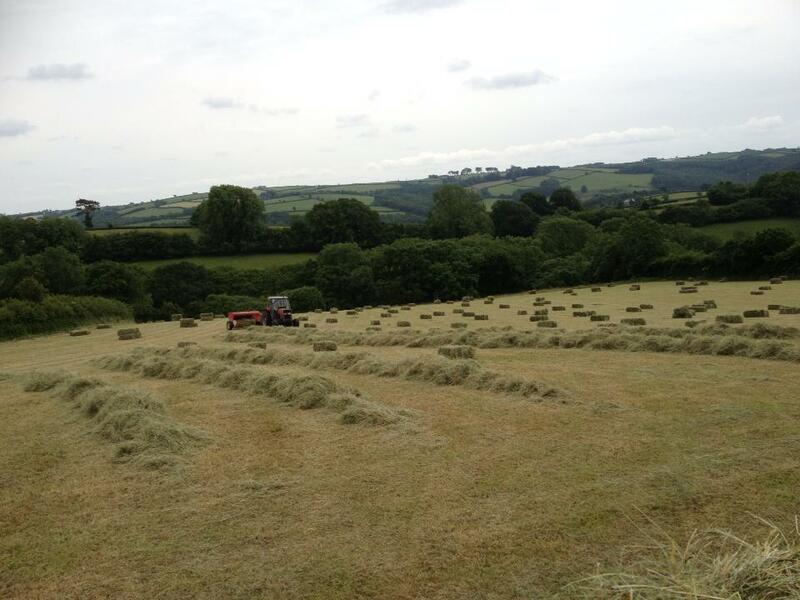 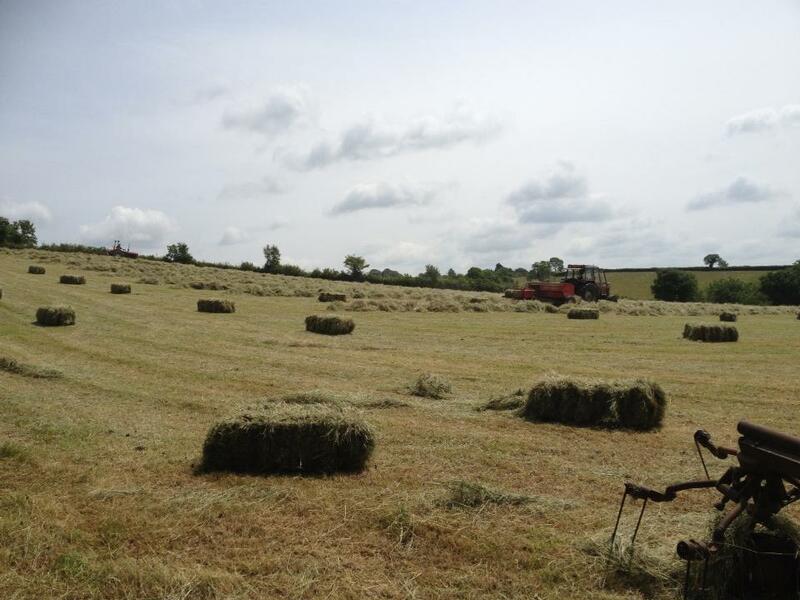 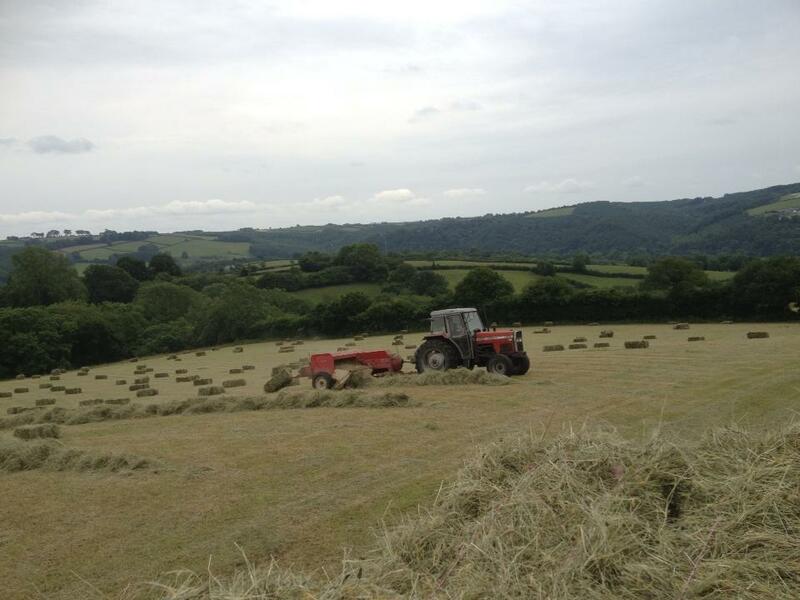 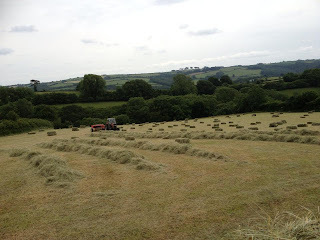 Well we got the hay cut, turned, dried, baled and stored before the rain came - just! 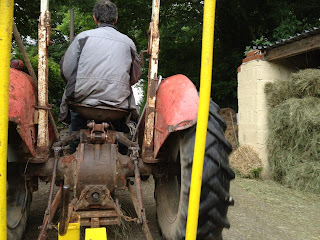 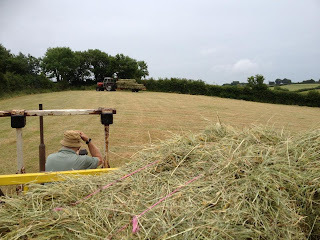 It started a light drizzle as we were collecting in the last bales, then started raining in earnest as the last ones were being hoisted into the hay loft above the dairy. 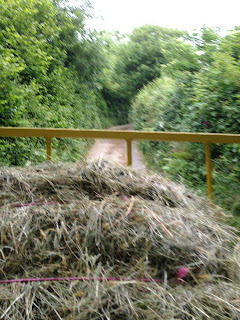 We loaded and stored 400 bales of beautiful meadow hay. The smell is GORGEOUS! 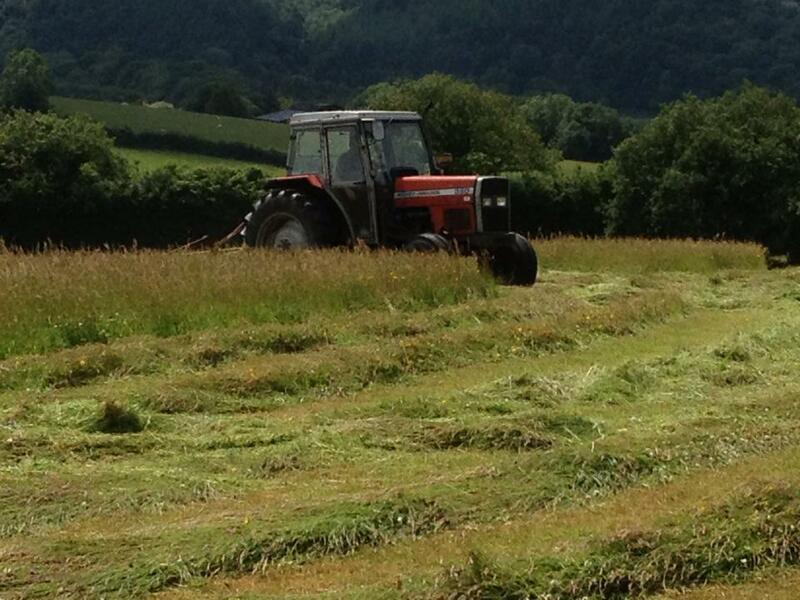 Are we ready for hay-making yet? 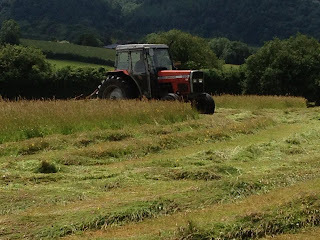 Ron inspecting the hay - hoping it doesn't rain! YES! 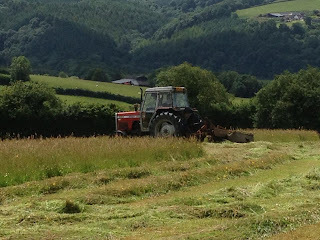 A-baling we will go! 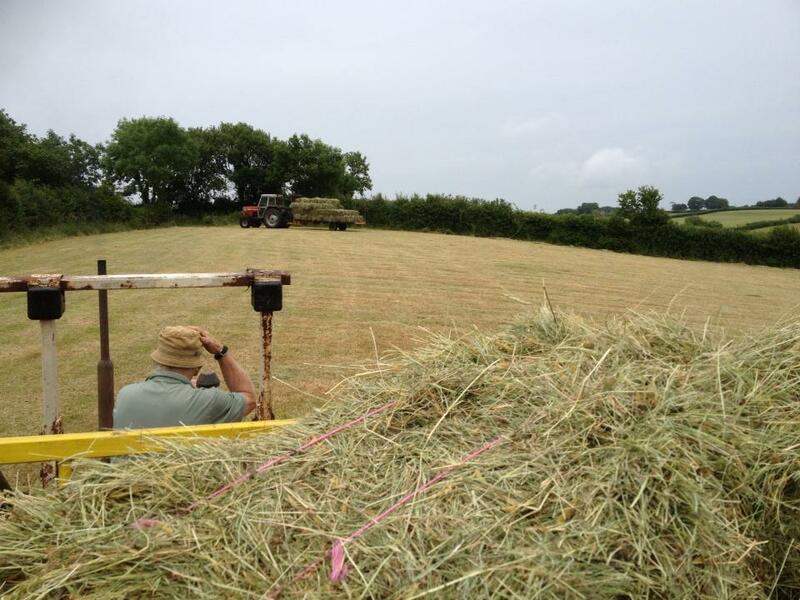 And now the bringing in, Stacking & Storing! 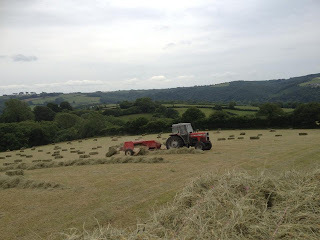 * Bit of a breather! 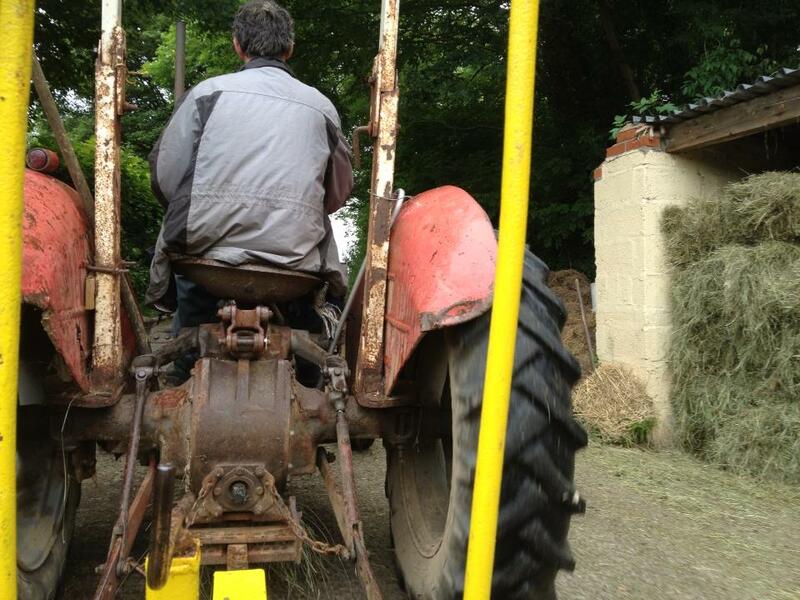 * Off we go again! 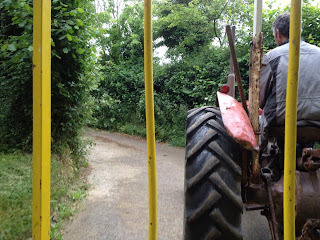 *... and down the lane.... just as the rain starts! and the hay loft above... full of hay! 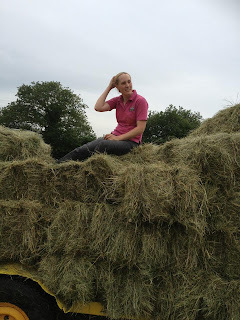 Phew- 400 bales, all safely stored for the winter!